While I take some time off, I hope you’ll enjoy reading some great guest blogs from wonderful wedding suppliers around Ireland! This week we have makeup artist Marion Smyth, who gives us her top tips for wedding day makeup. At the bridal makeup trial I believe that this is a vital part of planning a wedding. 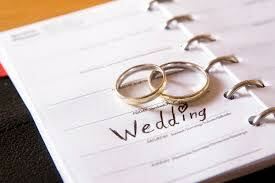 From this we both can gather a real sense of personalities, wedding theme, the flow and order of the wedding day. Any bride should be comfortable in voicing their opinion but also feel comfortable with the makeup artist. At the trial you should get a full makeup application and this would include false eyelashes – if you don’t normally wear false eyelashes then this is the place to try it out. My motto is try it now rather than on your wedding day as it will give time to tweak your look. A good Bridal Makeup Artist will listen, bring face charts, consultation forms and take notes of products that work well on the bride and extended bridal party for their skin types. My top tip would be to have your makeup trial during the day as this gives the truest reflection on how the makeup will look. For any bride one of the most important thing is to enhance your natural beauty and create a beautifully flawless look. The bride should provide details on the wedding theme like colours in the wedding, what your wedding dress looks like, how are you having your hair and where is the wedding location. Most brides do have a picture of how their makeup will look and if you do then you should present it to the makeup artist as it will help them to achieve your look; but remember no two faces are the same and it could look completely different on you so again this is why a trial is so important! At the bridal trial I always advise a bride to have facials in the lead up to the wedding (at least 2/3 weeks prior to the wedding day) The bride should take good care of her skin as this will help the makeup stay on for longer creating a flawless finish. If you can, separate yourself from the rest of bridal party to have your makeup and hair done as it’s still a time for pampering even if there is chaos going on around you! In my experience, as much as we want everything to run to schedule this does not always happen (sorry ladies!). I always work to a timeline but sometimes things can be thrown off slightly due to someone arriving late or a last minute altering session. Don’t worry ladies, just keep focused on the end goal and it will make your morning a pleasant one. The morning of your wedding day sets the tone for the rest of your special day. Make sure you are surrounded by family, champagne and have some music on in the background and enjoy every moment. First of all, it is wise to do your research as there will be a varied range of makeup artists in your area and this will also include researching the price of bridal makeup. Naturally makeup artists that are in demand will command a higher fee but there are still plenty of up and coming makeup artists who are talented that may fall into your price range. Take the time to look at their work and maybe even have a telephone conversation with them. You can also ask friends and family who may have gotten married recently for referrals. Write out your concerns and questions on paper: this will help you with the research and eliminate makeup artists and other suppliers who cannot accommodate your requests. Help the makeup artist by knowing how many are having their makeup done at the trial and on the wedding day’ this helps manage time, expectation and most importantly to properly quote for your bridal party makeup needs – remember, some makeup artist will offer a discount if you have a large group! Thanks again to Marion for the great advice this week – make sure you check out Marion’s website and blog for more great tips and booking info!